Vogue architecture for your wrists. 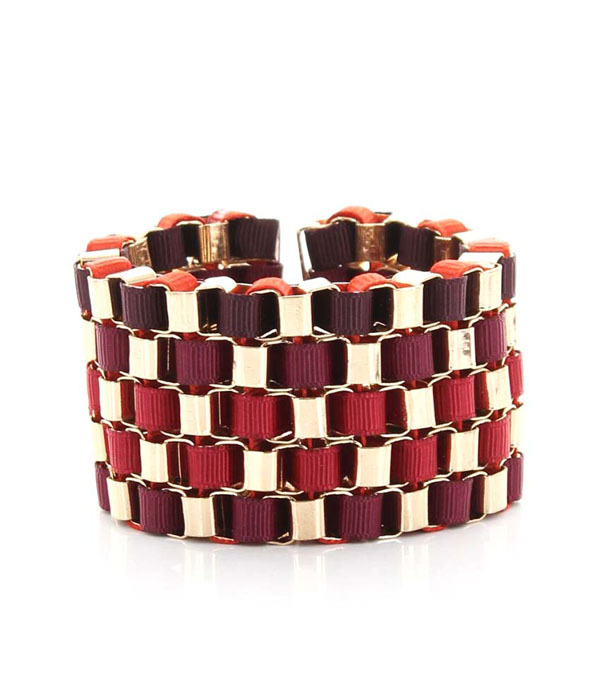 Graduating maroon fabric weaves through a gold-plated box chain link for the Maleah design. A modern geometric finish that screams 'chic!'. Buy this gorgeous piece of costume jewellery online today and get fast delivery within days.